Through critical analysis of selected news stories from sina.com from 2010 to 2015 about “left-behind children” in China, the chapter examines media discourse on relationships between migrant families and communication technology. The author finds that the role of cell phones in their lives are portrayed in the following narratives: 1) Cell phones are highly valuable for connecting family members living apart; 2) Cell phones are used as a problem-solver in charity giving and rural development projects; 3) Cell phones can bring unexpected risks; 4) Cell phones could harbor or unleash evil—associated with increasing cases of crimes victimizing left-behind children and juvenile delinquency. 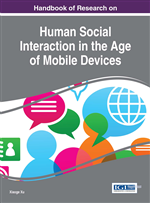 The author discusses how institutional goals of social agencies, corporations, educators and law enforcement contribute to the polarity of cell-phone-related discourses, which reflect the societal anxieties over unsupervised access to technology by adolescents, as well as the cultural and political implications of empowering the “have-nots” of digital divide. Left-behind children refer to rural children under 18 who are left at home when both or one of their parents migrate to urban area for work. Across China, as a result of the rapid economic growth and gap between labor demands in urban and rural areas, more than 61 million children - nearly a quarter of children population in China - live in rural villages without the presence of their parents, who have migrated in search of work to provide a better life for their families. Recent findings showed that left-behind children were disadvantaged by developmental, emotional and social problems, while their parents, caught in what the media describes as “tide of migration,” strive to empower the family financially (Su, Li, Lin, Xu, Zhu, 2013). Researchers found that due to a lack of family protection and educational opportunities, there have been growing signs of serious mental health problems and an increased criminal record among this vulnerable group (CCRCSR, 2014). Because migrant workers rarely get to spend time with their children, children often feel lonely and helpless, and sometimes have the fear of being abandoned. They are more prone to skipping class, fighting and even dropping out of school, as their caretakers are often unable or unwilling to monitor their study habits. It is also found that left-behind children had lower scores in health behavior and school engagement than rural children of non-migrant worker parents (Wen & Lin, 2012). This chapter aims to situate the question of children and technology in the context of China’s rural-to-urban labor migration, to address how popular discourses address the role of mobile phone technology in the lives of underprivileged children and youth in China. Using the theoretical framework of critical media studies, the paper examines how different narratives are weaved about their use of cell phones, and how the stories make sense of their unique family experiences with parents working far away, who might sometimes be reached through cell phones. With an intention to align the project with existing literature published in the field of communication about digital divide, migrant families, and mobile communication devices, the paper discusses how the popular media addresses the notions of class/inequality, family values and social network in China’s trends of large-scale migration and urbanization through the reports on personal communication technologies. As Clifford Christians argues in his article titled “A theory of normative technology” (1989:124), technology is “the distinct cultural activity in which human beings form and transform neutral reality for practical ends with the aid of tools and procedures.” The technological process—design, fabrication, and use—is usually value-laden, and is related to the definitions of problems and solutions by human beings in a specific cultural and social setting.